What you say here in all this article and especially the end here: “To remember things properly also requires repentance. The sins of the past do not belong to strangers – they belong to all of us – for we are no different than those who have gone before. We have not made progress and left them behind. There can be no progress until we return and remember them, and begin the work of repentance that alone heals the human soul.” — this is so very difficult for me and a little scary! However, Our Good Lord Who loves mankind has shown me this truth for my life more than once and I thank you for stating it here again. I become afraid when I have the thought “my repentance will never be good enough” but this is such total nonsense! Again, thank you, Fr. Stephen, and Glory to God for All Things. In many ways, repentance is little more than bearing the truth of ourselves in the presence of God. Thank you Fr. Stephen! And I agree and I cannot express how thankful I am that you have written these words in your blog posts and in comments. Your writings have always verified what Our Lord reveals to my heart and there have been times when I have understood better this Life in Christ after I have read a word or two from you. (You’re not alone, there are church fathers, saints and of course, the Bible, that have also aided my understanding.) However, your willingness to write these words and address them to our “modern” and “secular” world we live in is such an encouragement. Thank you! Father, thank you for this reminder to live repenting. It’s a poignant irony that only 50 years since Martin Luther King died we’ve gone back here in the U.S. to seeing persons as though their value is determined by skin color, gender and other such attributes. MLK gave us a glorious opportunity to repent from this kind of blindness and encouraged us to respect each person as unique and valuable to God. Sadly, it seems, we’ve let his wonderful dream slip away without regret. Well said, Father. I honestly don’t think there is any more important word to be spoken into our culture today. May God grant us all ears to hear. It is most astute to remark on the delusion of secular progressivism as being yet another circumvention of repentance: a devious way to continue in our blindness (John 9:41). Circumventing repentance is always like a deliberate blindness to truth: to perceiving God as the only One who truly is (and admitting myself -in His presence- as having thought that I was God instead of Him, when I am but His absence). Many aspects of Secularism are luciferean. Reflecting on the words of the official at the memorial church, I wonder what makes him think the memorial should be multicultural, when all those commemorated were killed because they were Orthodox Christian? Am I way off base here? Many of the 20,000 were not killed for their Orthodoxy. Stalin was an equal-opportunity butcher. OK – I understand. Thank you. Thank you Father. The priest at liturgy this past Sunday told a story about angels wanting to give God a gift – something he didn’t have. After the first and second angels, the third succeeded in bringing him a tear from repentance. It’s the only thing you can give God that he doesn’t have. Also, what’s the balance between the understanding of this article and an understanding of the eschatological reality – that because of Christ’s fulfillment of history – forgiveness is possible, and thus we can move forward? What I find interesting about the chairman’s comment about “multiculturalism” (putting aside the possibility of a translation issue) are the assumptions behind it. We know what he means on the surface, that since non-orthodox and even non Christians (such as the chinese) were equally victims, the memorial should be “fair” and “equally” represent all in its role as cultural remembrance. This is itself a modern and secular virtue (i.e. fairness being THE primary “virtue” publically). Yet, do all cultures have the same understanding of personal, ancestral, and community sin as Christianity? No. Is it even possible for a “memorial” to be truly multicultural, since diverse cultures have fundamental disagreement and diversity on how they view man, sin and death? This description helps me to grasp what I think Christopher was saying in a previous post. And I think this is the very explanation I was seeking. I don’t want to emphasize the negative (and I probably am) but I suspect that the very (transactional) nature of the type of relationships this culture encourages serves to reinforce this failure aversion. Worthiness is predicated on a monetary value. And if ‘I’ admit failure, I have no value. And it goes in reverse, if I have no monetary “substance”, I’m a failure and culturally (regarding ‘national pride’) invisible. Hence the resentment when someone might bring up injustice publicly. It is a deeply systemic cultural (& national) problem. I appreciate how you have linked it to an untended effect of the Reformation and secularism. I did some research on the man quoted in the article. He was a dissident back in the Soviet day, and has led the group, Memorial, in investigating and cataloging these tragic happenings – and not just in the former Soviet Union, I gather. In that sense, I think he is a secular man, a man who values the West and our liberal democracies. That’s not the same thing as a Solzhenitsyn, though they doubtless have some commonalities. I think you’re right though about the absence of “Cult” (for readers, “cult” as used here, is a technical term that means any sort of organized religious practice). With such a religious thing – it simply fades. At most, the secular people say, “Never again.” They remember so as not to repeat it – but, somehow, they don’t become different people. I believe in the providence of God. I also believe that you never win when you fight gravity. The darkness of America’s forgotten sins will eventually overwhelm the land. The darkness of the Soviet powers was overwhelmed, as was Hitler. Sometimes I believe that a lot of our present madness is our “hens coming home to roost.” Modernity will not be a march of progress – because it is built on lies. It is a march to the edge of a cliff. Repentance (among many things) means to leave the march. “It is difficult for nations to repent. Generally, politicians are not elected on a platform of repentance. National repentance also requires a liturgy, something which has disappeared from the secular consciousness.” So true. An almost formidable challenge for the politician. Here in Canada there have been many instances of “state” apologies for “colonial” wrongs. But somehow it does not wring true. As one commentator stated: “A quandary regarding apologies is the danger that their very format reproduces the same problem – again giving the microphone to the Western politician. Yes, the politician offers a suitably regretful demeanour, but it is an opportunity to be statesmanlike and magnanimous – and, crucially, to speak and be heard. In other words, the Western politician is yet again given an elevated platform to tell stories about events that happened to other people.” So much for the progressive mind-set. What is somewhat vengeful about the “Butovsky Poligon” is written about by Alexander Annin in the Moscow Times in May, 2014. He wrote: “In an ironic twist of fate, many of the same NKVD staff who worked at the site were later targeted by purges and found themselves executed at the same shooting range — they now lie with their erstwhile victims in mass graves, and their remains are now indistinguishable.” We need to be careful how we label this killing field. The author notes that not all were able to forgive; their wounds were sometimes too great. But it strikes me that repentance itself requires “the power to love and forgive”; it is the embrace, all around, of that deep communion. God give me love for my enemies. We need to be careful how we label this killing field. I think we should simply recognize their humanity and pray for those lost, regardless of their roles. The use of labels to divide the “good” from the “bad” is always damning. One of those one liners I thought to be significant. Unambiguous defined: not open to more than one interpretation. Right away I thought of The Unintended Reformation. “American culture is unambiguous” is a foundational statement, isn’t it ? Because in a pluralistic culture, there seems to be more than one interpretation for just about all of life’s matters. I think you are saying our “one interpretation” is our peculiar interpretation of the purpose of life, its meaning, and our “individual” freedom and rights. This is the knit or the fabric of our culture. And it is a fabric that allows for all manner of god(s) including the God of the Christian faith. This just does not leave much room for national repentance. When this topic comes up I always think of Daniel’s fervent intercessory prayer (Dan 9) confessing his sins and the sins of Israel. He leaves us a good example, I think. The lateral move comment was especially good. You should, IMO, keep using it. When we were leaving our Reformed Church (after a decision that we would have to explore Orthodoxy in a church versus books) I told our pastor that if we left, in his mind we faced no real danger (unless of course we started attending a Catholic or Orthodox church) – because if we went to a Baptist church, we might have lost the Presbyterian sacramental outlook or been exposed to dispensational theology – but for the Reformed and Evangelical, the Gospel would still have been in place – therefore no real danger. Really any jump between Evangelical and Reformed churches (Baptist, Presbyterian, Lutheran – anyone who defines the Gospel as Jesus taking the wrath of God in our place for those who by faith alone approach Christ in repentance, receiving his perfect righteousness in our place) – it’s all a lateral move. And this is why when you visit Reformed or Evangelical churches you find everyone almost has been a member of 5-10 different churches throughout their lifetime. Now, historically this wouldn’t have been the case because denominations were more dogged in their distinctives but cultural pressure has most denominations who agree on “the Gospel” getting along quite a bit better. So, there is no authority in the Protestant world that could ever hold anyone to repentance because you can just make another lateral move. I have made up my mind that though there are various Orthodox churches I could attend if ever the desire for a lateral move came up, that I will stay put out of conscience. How can repentance be individually or corporately acheived without a commitment, a submission, to the reality that within the Church is where repentance takes place. You can be an adulterous, shame bringing celebrity pastor in the Evangelical world, get fired one week and rehired in another church in two months – this happens quite regularly. We did visit one Evangelical church for a while years ago where a particular teacher had inappropriately touched a female student – don’t know the extent but they publicly brought him in front of the congregation during a Sunday service and had him repent before the church. It was interesting to see and seemed quite appropriate. I’m not sure how genuine his repentance was, but it had a postiive effect on the people in the church. Anyway, this is why in my posts to you, I try and emphasize that because theosis is the way of salvation, and it is excluded by and large in Catholic, Reformed, and Evangelical teaching due to their soteriology – when it is rightly put in place, theosis by implication necessitates the Church because the Church is the hospital where healing takes place – everything from ecclesiology to the sacraments are for theois – and if this were the Gospel we were sharing with Protestants it may become clear that the Church is to be submitted to versus more lateral moves. I’ve talked about Fr. Romanide’s several times on this blog and you had said you might have some resources countering him a bit. I’d like to know what they are if you had ever gotten around to it. I’m still quite confused on why he is under appreciated. The only thing I could see as off-putting is that he seems to consign everyone to hell who has not been illumined. The use of labels to divide the “good” from the “bad” is always damning. Amen to that! Fr. Stephen says modernity has no place for repentance. This is true, but it then gets replaced by its opposite: blame and division. We pretend to be about unity – and many are sincere in their intentions – but it often comes out like this: “If you join our group, then we can be united.” The reality that we are all already united by our humanity and a common Father seems to be quickly forgotten to the point of heresy and irrelevance. And yet, we pray for them as well, since Christ has died for all. 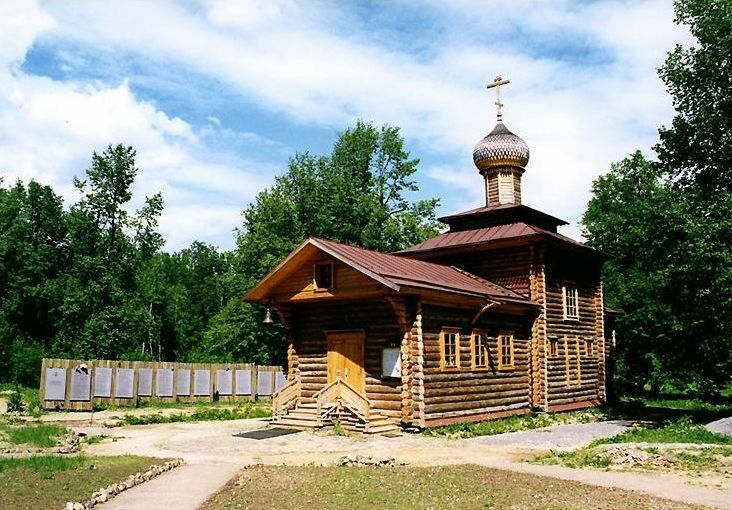 Indeed, I think in that manner, it is perhaps most fitting that there should be an Orthodox Church at that location – for, unlike any sort of secular monument, the Church rightly prays for all. Among the important virtues named in the Fathers is that of “stability.” “Stay in your cell and your cell will teach you everything.” I’ve been at St. Anne for 21 years now. I’m far from perfect as a man or a pastor/priest. Among the most painful things in my life is (perhaps like everyone) the difficult of my own failings – bearing the shame of my mistakes and when my character was not what it should have been. Stay in a community long enough, and your stuff becomes fairly widely known. Be a public person and it will be shared much further than you would ever want to be the case. And yet, I think that all of that is not something to avoid but to embrace – together with its pain. It is the pain of salvation. I’ve said, from time to time, that the longer I stay in place, the worse I become as a priest – meaning, the more aware I am of my faults. It’s much the same in a healthy marriage, I think. On Romanides. I would say there are a couple of glaring weaknesses. He tends to systematize and reduce things too much. The purification/illumination/divinization is a useful scheme – but overdone. Also, the blatant tendency to treat saints (those who are illumined) as though they are not only infallible sources of every kind of knowledge – but the only reliable sources. It has produced a fair amount of weirdness out there. He turns what should be a culture of honor and respect, with a certain deference to saints, into a rather dogmatic take on the saints that is simply wrong. I apologize in advance if this has already been covered in the above comment thread, but I haven’t the time to read the whole thing. Can you unpack just a bit what you mean by the Reformation’s culpability for this current state of “unrepentant secularism”? I’m not challenging that remark so much as just requesting more detail. I’d like to share your post around but I know many of my friends and acquaintances will blanch at that bit, and I’d like to be able to frame that for them a bit more if possible. A long read, but well worth the trouble, is The Unintended Reformation. The secular world, or the world conceived in a secular manner, is largely an invention of the Reformation, not entirely intended. The sacramental world-view of Medieval Catholicism was replaced with a world of “things,” in which nature is just nature, and God is somewhere else – what people now call “spiritual.” Matter gets demoted. My book, Everywhere Present, might also be a useful read. This blog article might suffice in a pinch. Just read the review of “The Unintended Reformation” over at First Things. The reviewer is an evangelical who criticizes the book based on his commitment to a protestant ‘Death of God theology’ and historical hermeneutic (i.e. modernism is the historical working out of the “embodiment” of Christian love). Papanikolaou is probably the best articulator of this view/theology/historicism within Orthodoxy. This sort of reading makes me want to read the book 😉 In my opinion, Chapter 2 of Dreher’s Benedict Option is a useful survey of everything behind the reformation and modernism – one which is not without faults but is accessible at least to those with no technical background in the history of ideas. I woke up this morning thinking of your imagery, how our habit of moving from location to location is representative of our constant moving away from failure and repentance. We call this progress but its really a movement away from actual progress just as you say. Real progress would be repentance. Repentance paradoxically requires a bit of rootedness. This way of describing it is useful I think. Papanikolaou is modernity disguised as Orthodox. The problem with him and his acolytes are that they are ultimately uncritical of modernity – so that they are mostly just trying to find a way to fit in within the modern project. It is antithetical to Orthodoxy in my estimation. Oddly, he really fails to seriously deal with thinkers such as Milbank or Hauerwas or MacIntyre and simply goes on to fulfill what they warn against. A modernized Orthodoxy (under whatever moniker it might be given is simply redundant and superfluous. So many others do modernity better than we possibly could. Dare I suggest the Anglicans? Repentance is probably the only true progress. But that requires that we measure things by the Kingdom of God and not some manmade 5-year plan. A modernized Orthodoxy was suggested in Russia under the Bolsheviks. The Living Church. Oddly, it has not quite disappeared…but only taken on new faces. Re: Fr. 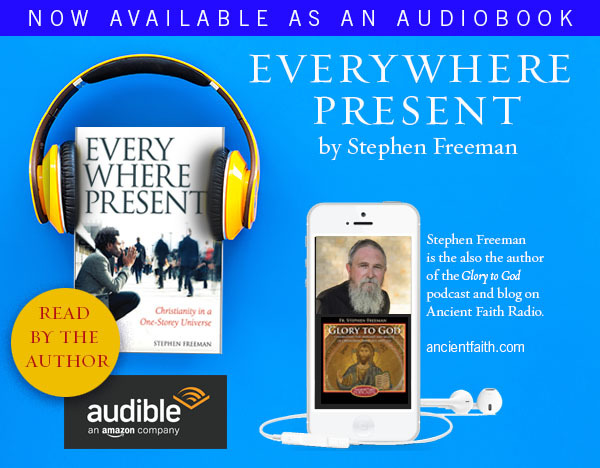 Stephen’s comment: “I believe in the providence of God. I also believe that you never win when you fight gravity. The darkness of America’s forgotten sins will eventually overwhelm the land. The darkness of the Soviet powers was overwhelmed, as was Hitler. Sometimes I believe that a lot of our present madness is our “hens coming home to roost.” Modernity will not be a march of progress – because it is built on lies. It is a march to the edge of a cliff. This brings to mind a saint we should all be more aware of, St. Alexander of Munich, who gave his life urging the German people to wake up and stop passively obeying Hitler. Josh I will also encourage Fr Stephen’s book as a way to engage in conversations without entering into a minefield of argumentation. For your own reading (and those you know who sincerely want to go into the history) I also second Fr Stephen’ recommendation of the book, The Unintended Reformation. The author cites others whom the author recognizes as his predecessors in his methodology. For that reason, also, Christopher might find the reading helpful. Fr and Christopher thanks for the ‘heads-up’ regarding what/whom not to read. I’m short on time and need to keep my reading to the helpful material. I’m grateful for this information also because a loved one of mine (non Orthodox but ‘secretly’ curious about what’s going on with me) reads voraciously and might venture into areas that point in an unhelpful directions. It helps to know who they are and how/what they say. It has happened at least once that he came upon writing by an Orthodox person who actually did not represent ‘Orthodox’ thinking. It took a lot of work on my part to demonstrate the various writings that show ‘mainline’ so called Orthodoxy. 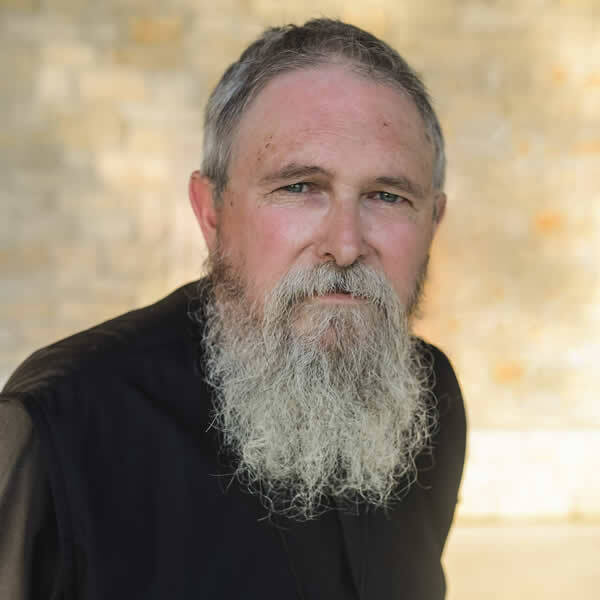 On that note, Josh, I’ll also mention that Fr Stephen’s ministry in this blog receives the blessing of his Bishop and Church clergy across Orthodox diocese. I should have said ‘so called mainline’ Orthodoxy. The beauty of Orthodoxy is its inherent diversity, commonality and communion. It is the real Church of God with all the messiness that it has had from the very beginning. And yet remains conciliatory through stability and sincere life transforming repentance. I’m sorry— one more comment— Josh, I just now took a look at the link connecting to your name. Thank you for your collection of resources which include videos and podcasts. I looked at a few and they were very edifying. I’m grateful for people such as yourself who curate such quality presentations of Orthodoxy. It is for the very reasons you articulate that I never felt “church hopping” within the Evangelical community would accomplish anything. I flirted with Nihilism as the alternative to “a Good God, Who loves Mankind”, but couldn’t embrace the utter hopelessness of it. It was ONLY because of Eastern Orthodox thinking, that I was able to become a real and true Christian. I appreciate Romanides, and have made it most of the way through his book, The Ancestral Sin, however, I would say that he is reductionist. In my opinion, he has created a systemic theology for those who appreciate that sort of thing. He has taken the humanity out of the church, and reduced it to a dry doctrine. I hate to think of what would happen to the Church if he were fully embraced. Think of Luther. He venerated the Theotokos, and did any number of things that modern Evangelicals would not be able to stomach. Over time, his forensic theology has been reduced to Penal Substitution Theory, the Solas, and really everything else has been forgotten. Its a formula, do this, and that will happen. I don’t know how Romanides would be handled 500 years from now if fully embraced, but it is my opinion among other things that I can’t even imagine, that the mysteries of the Church, and the humanity of the Incarnation would suffer. His voice is important, but it should be only one voice in a much larger conversation. I just finished reading the above-linked ‘Christianity in a One Storey Universe’ blog article. In the reading of it, I experienced many ‘aha!’ moments, and some puzzling moments, and passages where it seemed you were presenting my very-partially-baked thoughts back to me fully baked – the way that really good writing can do sometimes. I am going to re-read it many times, to be sure – it is a long piece, and there are many thought-paths opened up that will need to be revisited and explored. Or maybe I won’t re-read it at all – clearly I should simply buy the book! 🙂 But for now I want to express my great thanks to you for putting it out there, as you do on a regular basis here. I have engaged Romanides mostly through Met. Hierotheos writings, (Empirical Dogmatics, The Person in Orthodox Tradition, etc. ), which might explain why I am not getting the same sense of the man as many around here. For Met. Hierotheos Romanides was clearly a kind of mentor, so perhaps his use/remembrance of him is cherry picked. That said, Empirical contains a books worth of quotation. I am not sure you could even classify him of being a systemic thinker (as in systematic theology), though he was ‘incisive’ thinker in that he would, how to put it, ‘dwell’ on something and consider most or all of its iterations, facecets, implications. He did have a strong historical sense of the west and/vs. east, such that I do think it is a kind of historicism (it has too strong of a necessary and determined/reductionist character – that said it is brimming with insight). As for his anthropology, it has the essential character of eschatological mystery and his whole understanding begins and ends there. Yes, asceticism/purity is central to a *Christian* life, but I don’t see how this differs from the ascetical Fathers in any significant way (perhaps someone can explain what they are seeing around this). In any case I find his anthropology (again, mostly as understood/explicated by Met. Hierotheos) much more Christian and human than most of what passes for Orthodox “theology” today, certainly from the usual academic sources. Yes, this. I’ve often said every generation seems to need someone to hate. Who that is, changes from generation to generation. If we can blame enough on any one group, that’s who we hate, until the next generation comes along. Yes. I wrote the book because blog articles weren’t sufficient. I hope it is of use to you. Thanks for saying so much! 🙂 Yes, Romanides understanding of Augustine was certainly “simple”, to the point of not being true. I do things like transliterate “Augustine” into “Augustinian*ism*” (with all the caveats of such an ism) in my head when I read him. Yes, his experience of the west was much narrower than Florvorsky’s, and I think far more negative in character, couched as it was in the turmoil of his time and place. This included on the academic/theological side the haphazard and crude collision of (mostly German) western thought/theology into the Greek intellectual, academic, and seminary world of the mid-twentieth century. Deeper and more formative from on a religious instinct level was his personal/familial connection to the tragedy that was the 19/20 century late Ottoman period, WW1, the population exchange, the rise of the Turkish state, etc. Much more of course could be said. Fr. Matthew Baker’s of blessed memory limited but very high quality output has prompted me to reexamine Florvorsky. I think the Church has only just begun to grasp his legacy and thought/depth. Yes, he had a better grasp of western history, diversity, and nuance than Fr. Romanides and for that matter most Orthodox theologians born/formed here. Still, I remain convinced that he and Fr. Matthew were too optimistic about the *power* of the NeoPatristic synthesis (and it so little understood!) and initiative – certainly on the historical and ecclesiastical (and thus ecumenical – that is to say *universal* or *catholic*) level. To put it another way, it is too Platonic, and needs a little Aristotelian corrective such as Fr. Romanides appreciation for how formative actual history, idealization, and our organic life in it can be. To say it more simply, I don’t look for a *synthesis* of any kind in history, in the ecclesia as a whole or in part, etc. This is simply not the Christian story of Time and it’s redemption. Pulling back from these specifics, I think above all of this is this Church of the East’s very recent encounter and life within a modern/secular miliu. As Schemman saw, it is this that is fundamental, and the underlying crises and test that characterizes everything else. I don’t think even men with gifts like that of Florovsky have seen even a tenth of the enormous Providence of it all. It’s almost impossible to even characterize, let alone begin to see where it is actually going. My hope is that not everybody has some sort of ‘agenda’ regarding theology. Although I’m certainly aware that some do. When one classifies readership and reactions to specific writings in theology , it is inevitable that the readership response is colored by their history. But I’m a little reluctant to claim certainty and participate in such classification of readership activities, myself . Modernity has impacted the western world. Parcing who will react and in what way to Orthodox theology seems a bit presumptuous. And I’ve been wrong myself, for one. And last but not least my own ‘checkered’ background and DNA doesn’t allow me to be so easily pigeon-holed. Although I’m stereotyped regardless. My own approach regarding reading is mainly shaped by two people, my parish priest, and Fr Stephen. Occasionally there are commentators here in this blog who point me onto interesting things as well. Changing the subject back to Fr Stephen’s article: I read this morning scripture that exemplifies Fr Stephen’s description of ‘lateral’ movement as opposed to repentance. John 8: 1-11. Each of the accusing men, scribes and Pharisees— all learned men, left one by one as the Lord wrote on the ground. Then when they were finally alone the Lord asked the woman accused of adultry, “has no one condemned you?” She answered “no one, Lord”. She stayed where she was with Christ to hear his final words, which were “go and sin no more”. Repentance as you say, Father, is more than publically (or before a confessor) admitting one has done wrong. Rather, it is an active pursuit of turning around, of centering one’s life in Christ. It is a physical/spiritual/ontological transformation, a ‘coming back to oneself’ like the prodigal, and ‘coming home’. Words hardly describe the process because it is holy and it is the work of God’s grace and the Holy Spirit. I am extremely leery of speaking of an “Oxford School” or even a “Paris School.” To describe Fr. T. Hopko, who was certainly an heir of Paris, as a doctrinal minimalist would be absurd. Indeed, to speak of him an Papanikolaou in the same sentence, much less the same school, is a gross mischaracterization. No school is driving anything. Instead, I think, the point of how the East is currently encountering the West – your later point – is the right place to focus. The tools of Florovsky, in the right hands, are extremely helpful. But it is the hands that matter. The same tools can be bent to ill use, just as a doctrinal maximalism (btw, I do not understand these characterizations at all) can be bent to ill use or good. I have an assistant priest these days, who was very close with Fr. Matthew. I am learning a bit about this brilliant young man who was taken from us in such an untimely manner. Thank you Dee for this refreshing comment, which places us at the heart of our life, the one that opens on / in love, in the infinite desire to be truly with / in Christ, our Savior. I am thinking of a text written by the Metropolitan Daniel of Romania, before he was Patriarch, about the sinful woman who cries in the house of Simon the Pharisee. Dee…I want to thank you for your last comment. In your first paragraph you put some form to my various and multiple thoughts on never ending critiques, particularly in academia. Although I do take the time to read the critiques (I have in mind, again, The Unintended Reformation), after two or three it becomes a hindrance for me. I begin to wonder, when one writes a book and presents at length their version of history, that is, what they believe is accurate and true from their own particular viewpoint, what is the purpose of this undertaking if not to present the truth the way they see it? And if that is the purpose, then why all the never ending critiques? How can a “truth” be established in anyway at all in an academic setting? Yet the academics welcome with open arms *never ending* debates. They say (I have read) that the book (whatever book it may be) should be read and more discussion is needed. I suppose that is the essence of academia. How very modern. ….and Helene comments on your second paragraph! Thanks Helene…good words! Very good words…that can not be exhausted! For those of you who have only been introduced to Romanides via The Ancestral Sin, I would recommend reading him more fully. Ancestral Sin was a dissertation that did not encompass his entire thought. I still haven’t made up my mind fully but as someone who has known and imbibed Reformed dogma – who actually understands Reformed theology – and how it has impacted every flavor of Evangelical, Anglican, Lutheran, Baptist, Congregational, Presbyterian, even Methodism – Ancestral Sin is the dividing line – because all those who came after the Reformers basically accepted Total Depravity which is based on Original Sin / Original Guilt and the Predestination that is necessitated by it. Protestants will never fully understand Orthodoxy while retaining a belief in Original Sin because Original Sin necessitates monergism and excludes synergism necessary for theosis. So you get theosis in Orthodoxy and you get PSA, Predestination, imputed / infused righteousness in Western theology. The methodology for treatment of sick souls is actually important. Last, for those who have not appreciated the Essence/Energies distinction (like most all Westerners – again pick up some Reformed dogmatician’s take on the doctrine of God / the knowability of God – and they will identify knowledge of God with the Revelation in Scripture either by analogy; we can know God analogically (for example I know a cow and by analogy I know what all cows are, so creation is analogically congruent with God’s mind, there is a parallel and it is found in Revelation), or we can know God directly through Scripture from the text. This came from Augustine and is the reason why Protestants locate knowledge of God in the Bible. But we believe God is beyond being, beyond knowledge except as manifested in His Energies but even then, we do not approach anything like real knowing, just enough to say what we don’t believe about God. Also, Westerners will locate God’s Will within/as equal to His Essence – therefore will and act and who God is are equivalent – therefore anything like real free will is impossible, and again, this makes theosis impossible. If God’s Will and His Actions are determined by His Essence, everything is predestined and in a sense even God is predestined to do what He does. These are crucial issues and Romanides brought them out. So, I can agree with him that Augustine may be a saint but not a doctor. “Schools” and such are just shorthand descriptions of qualities, tendencies – useful or not depending on the context (such as a comment box), shared experience, etc. Very true, individuals are certainly not determined by them. Yes Father, Psalm 89(90), the prayer of Moses, often comes to my heart when thinking of these things! My goodness, who/what is the phycian in the Church? My sinning priest? The books I read? The Tradition and/or tradition? Argument and argumentation seems to work well in western scholasticism doesn’t it? Surely we westerners can use the same to save souls — what better method is there anyway? Catechism is in place in the Church and to the best of my knowledge such ‘classes’ are not run by self-appointed docents. Please forgive me— I have no axe to grind against theology and studying theology but the presumptions we have on what ‘the best medicine ‘ is for a ‘group’ needs more reflection and soul searching. Christ is always the physician. He uses everything. Too many books can be a distraction as well as our own understanding(s). It is always Christ. I am coming to the view that there is no tradition. Only Tradition. I think too many people use this compartmentalization to argue against the teaching of the Church (much like the “Jesus didn’t say that” argument against many things in Scripture and Tradition). More importantly, I don’t think there is much to support the distinction, although I understand why some would want to do so. I appreciate your point Byron. Part of my words above were facetious. Please forgive me. Forgive me, Dee. My point was not really directed at you. It was more of a general observation. Very easy to get complicated. Tradition is the on-going encounter/love with the Person of the Incarnate Christ within the embrace of the local sacramentally worshipping community. That is why trying to finely codify it is difficult. It tends to be The Law creeping back in. Law is easier, but lack of such a law structure drives the modern mind in all of us bonkers because that mind is based on parsing, negating and destroying all such artificial structures (and the people who hold to them) in the name of freedom and progress. That is interesting Byron. In some sense I feel like I have developed in quite the opposite direction. I have encountered enough today, and in all ages of the Church’s long history, that I cannot believe originates in Christ’s Pascha, or is helpful for salvation. Holy Tradition has in a sense shrunk a great deal for me- it is The Way of Life that I cling to, practiced always toward greater humility, repentance, gentleness and ever-broadening, ever-deepening love for all and for everything. Immediately I see things in my comment that do not quite seem right to me. It is not so much that Holy Tradition has “shrunk” for me. It is that I think I have developed an ear for the sweet sound of Her pure voice. And it is not that I “discard” anything at all really. But through the sweetness of Tradition’s clarity, I can even benefit from what may be off-tune in some lesser ‘tradition’, or at least remain undisturbed anymore by these small off-notes. I hope this clarifies somewhat. My apologies to Joseph Barabbas Theophilus for removing his comment. I do not want to start down a road of arguing particular customs and their status within the Church. Matters of customs within the parish are the purview of bishops and priests and should not be a topic elsewhere. Things vary so much from parish to parish, and for good reason. Tradition, properly understood, is the life of God within the Church. It is expressed in our actions, our speech, our practices. We act in accordance with Tradition because we have the “same Spirit” as that which was given to the Church throughout the ages. But the truth of our practices is found within the Tradition itself, not within the practice, per se. There can be a latitude in practice, so long as it agrees with the Tradition (rightly understood). And that, invariably involves a judgment call. That judgment belongs within the hierarchy who have been appointed by God precisely for the “holy ordering” (hier – archy) of the Church. The language of Tradition and tradition, is a modern trope, simply a way that some have sought to express the fact that not everything we do has an ultimate objective necessity. My parish has a wide range of ethnic membership. I pay attention to ethnic customs wherever possible without seeking to make any of those customs universal. It is a good learning for all. Traditions/ practices within the Church do vary greatly, from congregation to congregation, even within one congregation itself. Some have called these differences a “holy dance.” I find it beautiful to participate in and to view. Many will stand for the whole liturgy, others sit whenever possible. Some light candles, others may raise their hands unobtrusively in prayer. Some folks like to sing, others are quiet. There are those who cross themselves hundreds of times, while others hardly ever. Some will bow, others kneel at times. All this can be quite bewildering to a new-comer. Yet there really are few if any “rules.” Those who grow up from childhood in the Church are much at ease and all of the above comes quite naturally, again with some variation due to background, ethnicity, custom. Yet I am convinced that this beautiful “untidiness”, instead of being cacophonous is heard/seen by God as symphony and dance…worship in spirit and truth, when done to His glory. Dean…I find the diversity of worship within the Church beautiful too! The “untidiness” is nevertheless orderly. It is a reflection of worship from the heart. About the ‘standing’…I can not help but be amazed when I see pictures of worshipers from Russia, for instance, who stand throughout the entire service. No seats! From young to elder stand! I am sure those who are my age have the same aches and pains even worse than I do! I hear there are Churches in the U.S. that have no pews as well. I don’t know…all I can say is thank God my Church has seats! I think to myself, though, am I that soft?! Those people have some stamina! Paula AZ, I was surprised to see seats (chairs) in Churches in Greece – not all of them – but quite commonly. It’s relatively new. When I as in Russia on pilgrimage, we attended a Divine Liturgy that was packed with thousands of people (there were hundreds standing outside because they could not fit into the church)! As pilgrims, we were allowed to come to the front where we stood among a large number of grandmothers who had arrived early. I noticed one of them pulled out a camp chair during the Liturgy to sit upon! It surprised me but I saw no issue with it. However, I have been to Orthodox Churches in America that strike me as little more than Protestant in their structure (giant auditoriums full of pews; just with icons added). They even have “children’s church” rooms for the very young children so they are not in the Liturgy! That is more my issue than theirs, I expect, but I don’t care for it. There should be a place for people to sit, as needed. Our parish has no pews but there are benches that outline the outside of the building where people can sit. Some people will also just sit on the floor! And I should add that I agree with all of the remarks concerning Tradition (and very nicely stated, Mark, et. al.). Pure gold. Thank you Father. Father… some Church traditions seem to have changed over the years with the “advances” of civilization, haven’t they. Much less physical exertion in these modern times. Byron… I get a nice “visual” in the way you explain your experience in Russia. Must’ve been awesome! The quote you have emphasized also ‘hit home’ for me also. Fr Stephen’s words are indeed edifying. The discussion in Tradition was also interesting and edifying . Thanks to all who contributed to this topic. (I didn’t read Joseph’s comment, and trust Fr Stephen’s decision). My concern is that my own words (bringing in the topic of Tradition) might have seemed flippant and perhaps encouraged unhelpful comments . They were intended to say something about an emphasis on methodology and scholastic practice. The needs of the heart in the process of catechesis, and the work of Christ and the Holy Spirit are not so easily determined by men. In part this is why I’m leery of adopting ‘Orthodox’ evangelical practices that resemble (to my eyes) American style Protestant evangelical practice. Sometimes I admit I might seem over sensitive about this. This is likely due to a very unfortunate history I have with Protestantisms of all stripes. Please forgive me if my comments seemed disrespectful or unhelpful as that was not my intention at all. Thank you all for your great conversation. All of Her life was lived in submission to the Tradition, first as She knew it growing up, and later following every word of Her Son. Thank you for that link Agata. I particularly liked Fr Stephen’s comment that came afterward, which describes the political forces at work within the development of the Reformation. It provides more context to what Fr Stephen’s point is in this current article. If there is one thing that is paradoxically characteristic of modernity, in spite of its positivistic progressivism, is its perennial procrastination in doing the right thing. Then again, how could it, when its place on the line of time ahead of the past justifies all its actions? Speaking as a procrastinator myself, I appreciate your point Augustine. But I might add that there are also elements of ‘faint heartedness’ and despondency that our secular society fashions into it. It’s as though all that has gone before only shows a futility of doing anything at all, because the inherent ‘progression’ of our present circumstance seems to have failed us. Such thinking is disabling and why I appreciate Fr Stephen’s last paragraph so much. But repentance begins with humility and that comes from the grace of God putting the right spirit within us, one that prays, loves and forgives. Thank you Father Stephen for this post. It put me in mind of many things, some of which have been close to mind recently – our cultural propensity to blame others ‘those people’; our failure to take responsibility for our lives and for those around us; some writing of Wendell Berry, in which he reflects on his return to his home community and beginning the process of acknowledging his part in its many failings – he could not live there and pretend ‘it had nothing to do with me’; and the oft quoted words of GK Chesterton in a letter written to the Times of London after reading many articles headed ‘What is wrong with the world today?’ – his answer? I am. I have found proverbs 8:22-30 to be helpful for me to understand the nous(inner wisdom). God bless you for caring to share your insights.